Are you a student about to finish university and have no idea on how to get your luggage out of school? Then do not worry, The Unbeatable Removals is right here for you. We understand the difficulties that those students vacating school premises go through, especially if they do not have a private means of transport. And this is not just for those vacating school, but even those who are joining new universities. We have been chosen thousands of times by other students, and everyone loves us. And this articles explain to you why our removal company is your best bet. There are so many things that a student has to do before finally vacating the university premises. In most cases, you will find that the student’s promised time of getting out is exceeded, and this will attract extra waiting charges from regular removal companies. But as for us, we fully understand that the delay might be due to issues beyond your control. 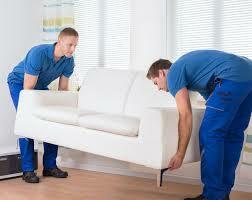 The staff of The Unbeatable Removals have been trained and advised to understand the client, whether students or not. So you don’t have to worry, we shall wait till you finish whatever you are doing at no extra cost. Think of that time when you really need a moving company and it is nowhere to be found. Or worse still, you had booked a removal company to help you get your belongings to or from school, but then the van or truck fails to show up when you have already put your luggage outside. This can be a real disappointment. We provide student removal services that can be depended upon. When we say we shall be there at a particular time, then we mean exactly that. We believe we are the most reliable moving company not just in Sydney, but in Australia at large. Each student has his/her own unique needs, and thus we cannot just generalize that since other students want something, everyone else must be for that same thing. We listen, and provide customized services that best suits your needs. We are not in the business of just making profits, but also making our clients happy. When we provide quotations, we tend to be mindful of all your special needs, and this will be reflected in the final quotation that we send to you. You are just a student, and chances of you having lots of money are almost zero. For this reasons, we provide competitive prices for student removal services across Sydney as well as the entire Australia. Also, we are not just limited to Australia, as we provide international services as well. If you are a student that comes from a different country, then expect best service from us at a pocket-friendly price. We have shipping services for student across Europe and many other places. There are many reasons why you should choose The Unbeatable Removals as your number one choice for student removal services. And when you choose us, we also choose to satisfy your student removal needs.